So far, few details have been released about Star Trek: Discovery. Recently, showrunner Bryan Fuller posted a new photo from the set of the CBS All Access series, The Wrap reports. Last week, we reported that Whoopi Goldberg was open to reviving her Star Trek: The Next Generation character for the upcoming series. 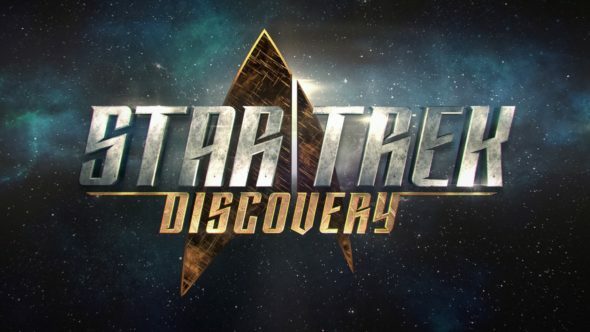 Star Trek: Discovery is set to premiere in early 2017. What do you think? Are you a Star Trek fan? Does the alien look like an Andorian? More about: CBS TV shows: canceled or renewed?, Star Trek: Discovery, Star Trek: Discovery: canceled or renewed? Star Trek: Discovery: Season Two Essentially Guaranteed? Andorians are blue tho, right? I remember the Andorians being used a lot in the early seasons of ENT, always referring to Archer & crew as ‘Pink Skins’.